Mathematics teacher and puzzle creator Tetsuya Miyamoto says he’s probably watched Bruce Lee’s “Enter the Dragon” at least 20 times. Miyamoto, whose numerical and logical puzzle KenKen has achieved worldwide success over the past decade, was inspired as a teacher by the iconic scene in which Lee’s character fools a bully who has picked a fight with him on a boat. Having thoroughly confused the bully, Lee points to an island where he says there will be more room to demonstrate. 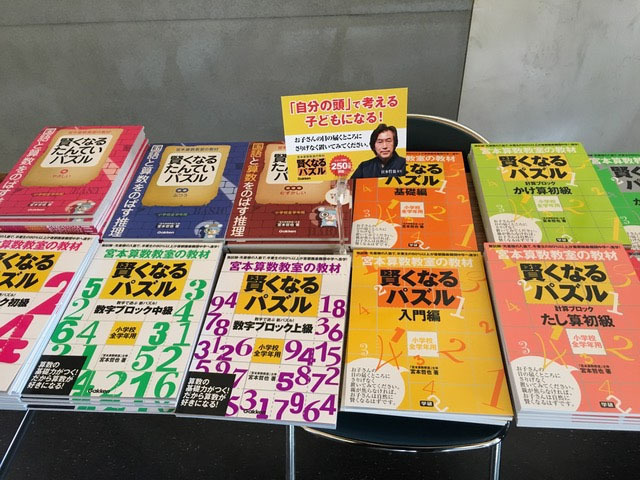 KenKen, which Miyamoto invented in 2004 as an instruction-free method to help his third-grade students improve their math skills, now appears in more than 150 newspapers worldwide, including The Times, The New York Times, Spiegel Online and the Yomiuri Shimbun. The puzzle, which in Japanese is called “Kashikoku Naru Pazuru” (“Puzzles That Make You Smarter”), also trains your brain to think logically, Miyamoto says. 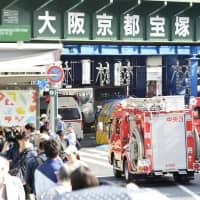 Last year marked the 25th anniversary for the Miyamoto Mathematics Classroom he started in Yokohama in 1993 for 20 students on a first-come, first-served basis. He began teaching his first puzzles to third-graders in 1995 and currently teaches primary school students from first to sixth grade. “At the time there were puzzles for addition, puzzles for multiplication, but there were no puzzles that mixed all of it — subtraction, addition, multiplication, division,” he said. KenKen, which translates to “cleverness squared,” is a math-based symmetrical grid, ranging in size from 3-by-3 to 9-by-9. The goal is to fill the grid with digits, but like Sudoku, none can appear more than once in any row or column. So, each row and column in a 4-by-4 grid would contain the numbers 1 to 4. The grid also features groups of cells called “cages” and the top left corner of the cage contains a mathematical operation and “target” number. For example, a cage consisting of three cells with the sign +6 in a 4-by-4 puzzle must add together to equal 6. In this case, the numbers would be 1, 2, and 3. KenKen puzzles that use only addition are the easiest but the puzzles get quite challenging when other operations such as subtraction, multiplication and division are included in one puzzle. More complex KenKen puzzles are formed using the same principles described above but excluding the signs for mathematical operations, creating another unknown for the solver. Miyamoto’s puzzles feature interesting and intricate patterns in the final construction, something he says software could never replicate. “Automatic composition software could never create Mozart, it could never create Shakespeare. Machines don’t have hearts,” he said. 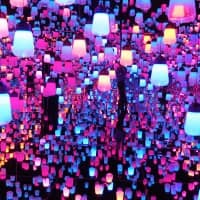 Unlike Sudoku, which is mostly about logical thinking, KenKen is a puzzle that requires deeper thought, creativity and perseverance, Miyamoto says. 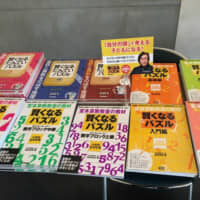 After Miyamoto made a number of TV appearances in Japan to speak about his puzzles, Gakken Holdings Co., a publisher of educational books, released a puzzle series in 2006. Many other books followed. The puzzles were unveiled overseas at a book fair in Bologna, Italy, in 2007. That same year, Gakken introduced them to toy inventor Robert Fuhrer, owner of Nextoy LLC, which has since acquired the rights for KenKen outside Japan. Miyamoto did not have much say in the deal, he says. 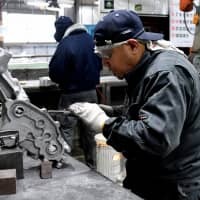 Looking for a way to promote KenKen, Fuhrer showed them to American puzzle creator Will Shortz, the crossword puzzle editor for The New York Times, and a neighbor of Fuhrer’s in Pleasantville, New York, Miyamoto says. Meanwhile, chess master David Levy had told Michael Harvey, an editor of The Times, based in London, about the puzzles, and Harvey was impressed by their “depth and magnitude.” The Times and the NYT started publishing the puzzles in 2008 and 2009, respectively. 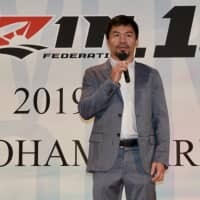 Miyamoto, who dropped out of high school before graduating from Tokyo’s prestigious Waseda University with a major in drama and literature, says he hated school growing up because of teachers who barked out orders rather than let students think on their own. “Teachers give orders to students at schools but I rejected this way of thinking. You don’t get smarter that way.” He is dismissive of teaching methods that emphasize rote learning or memorization. He worked for a cram school in Yokohama after graduation before he founded his mathematics class in 1993 and established his unique methodology, which he says cultivates a strong mind and heart through mathematics. There are four types of mathematical problems, Miyamoto explained: easy and boring; easy and entertaining; difficult and boring; and difficult and entertaining. “I only give students entertaining problems. The problems get tougher but whatever I give them they never give up,” he said. 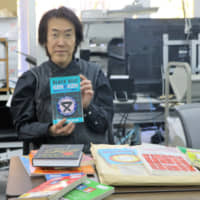 Miyamoto moved his class to Tokyo in 2009 and, after achieving success and seeing his puzzles published worldwide, decided to transfer operations to Manhattan, where he set up a classroom near Grand Central Station in April 2015. 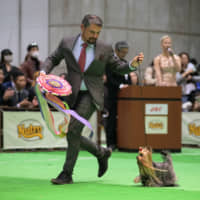 By then, KenKen had already taken off, with annual international tournaments sponsored by The New York Times held in Westchester County, New York, since 2010. But Miyamoto himself struggled to establish roots in the Big Apple. He eventually decided to return to Japan to rekindle his business in March 2017. 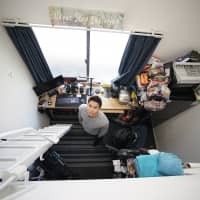 “I realized I could still grow in Japan. Growth and new challenges are always important for me. Now I am really enjoying myself,” he said. Among those new challenges will be fatherhood. 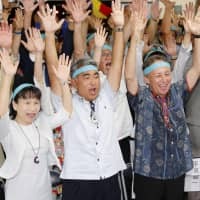 Miyamoto, who turns 60 in November, and his wife Wakaba, 41, are preparing for the birth of their first child in March. 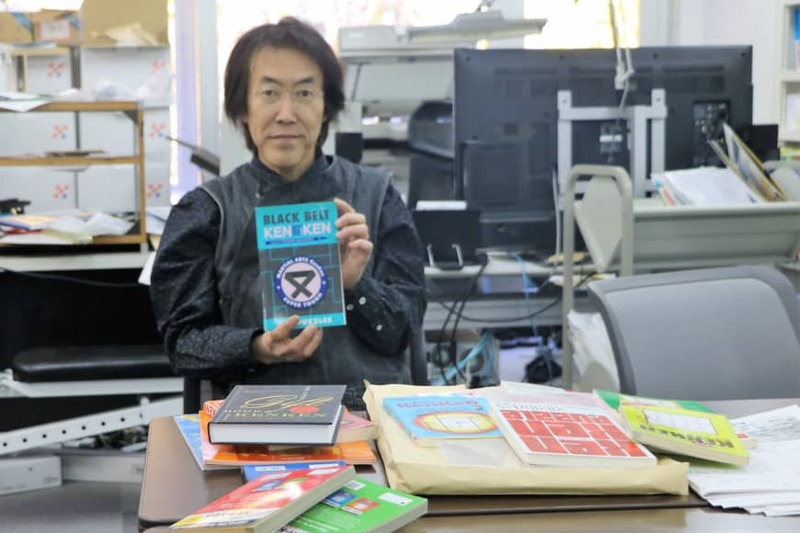 Miyamoto, whose 180 books have sold more than 3 million copies worldwide, creates all his puzzles himself, so preparations take a painstakingly long time, he says. He believes KenKen fosters self-esteem and happiness in the puzzle-solver using “the rules of mathematics that can be applied to life,” much like the patience required to climb a mountain and the joy of reaching the summit. Last year, Miyamoto started a new initiative when he began to livestream classes via YouTube for second- and third-grade students who live too far away to travel to his lessons or are still on the waiting list — his classes are still limited to just 20 pupils. On Dec. 24 he held his inaugural championship puzzle event, limited to 30 students each in grades one through five, at the Sugamo Gakuen school in Tokyo’s Toshima Ward. There was positive feedback from students and parents alike, according to Miyamoto’s survey. In the final, the top three students in grades three through five had to create their own 6-by-6 puzzles in 20 minutes and have them tested for accuracy against analytical software. Students exchanged correct puzzles and solved them together, with the person who was able to successfully complete a puzzle first deemed the winner.